Details: 22 page PDF digital document. 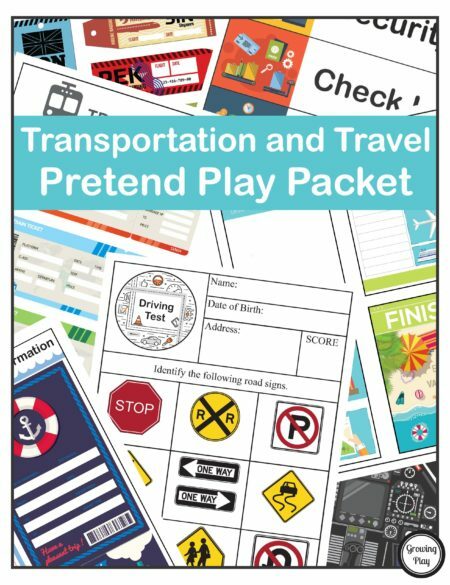 Summary: Here is a wonderful download that combines pretend play with drawing! 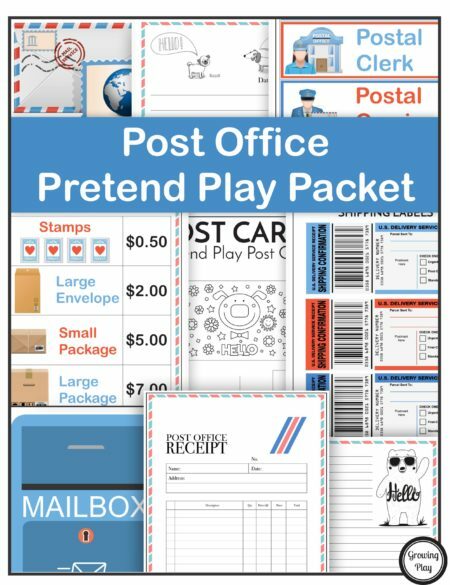 Just print and open up your restaurant. 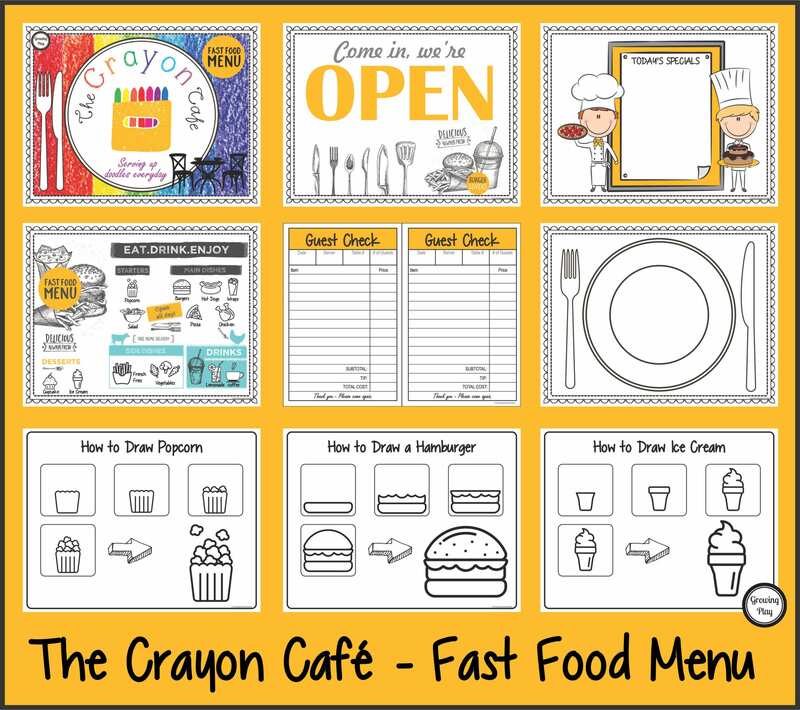 The Crayon Cafe – Fast Food Menu is a creative way to open up your very own doodle cafe. 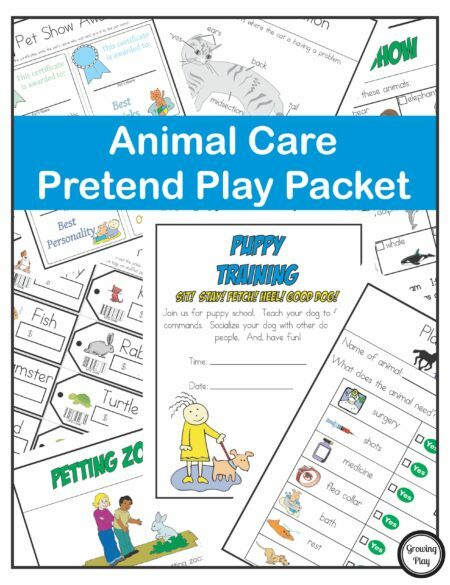 This digital download includes three blank place mats, fast food menu, guest check, open sign, today’s special board and 12 how to draw pages for all the items on the menu. 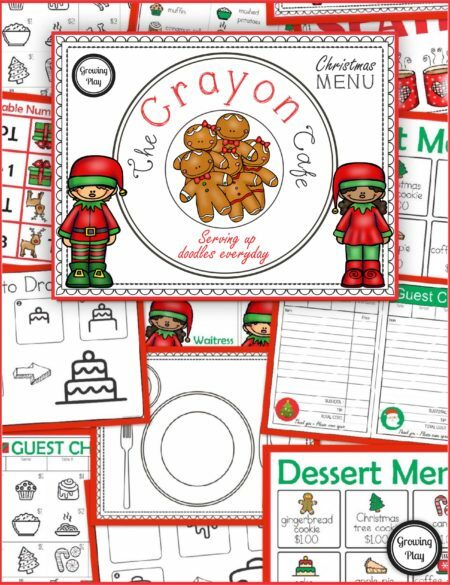 The children can distribute the menu, take orders and draw the food on the blank placements by following the step by step directions. The Crayon Cafe encourages: literacy, writing skills, drawing skills, creativity and imagination.